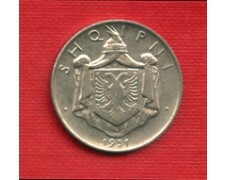 1939 ALBANIA ITALIANA - 0.20 Lek acmonital magnetica (Cat. Gigante. 9a - World Coins KM# 29) splendida conservazione Spl/Fdc( Cat. 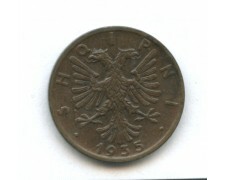 Gigante Fdc Euro 70.00). 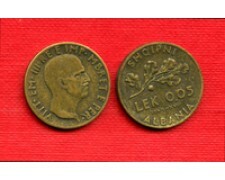 1939 ALBANIA ITALIAN - 0,20 Lek magnetic acmonital (Cat. Gigante. 9a - World Coins KM # 29) beautiful conservation Spl / Fdc (Cat. Gigante Fdc Euro 70.00). 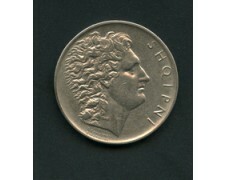 1940 XVIII° ALBANIA ITALIANA - 0,05 Lek bronzo effigie di Re Vittorio Emanuele III° (Cat. Gigante.17 - Montenegro. 509) bella conservazione BB. 1940 XVIII ALBANIA ITALY - 0.05 Lek bronze effigy of King Vittorio Emanuele III (Cat. Gigante.17 - Montenegro. 509) beautiful conservation BB. 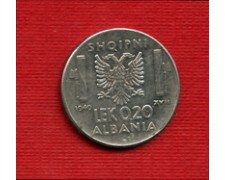 1931L ALBANIA - 1/2 Lek nickel (Cat. 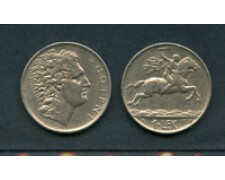 World Ccoins KM. 13) bella conservazione BB. 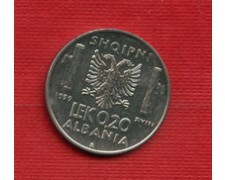 1931L ALBANIA - 1/2 Lek nickel (Cat. 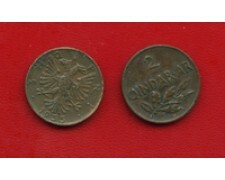 World Ccoins KM. 413 beautiful conservation BB. 1930 ALBANIA - 1 Lek nickel (World Coins km# 5) buona conservazione BB. 1930 ALBANIA - 1 Lek nickel (World Coins Km # 5) good conservation BB. 1926 ALBANIA - 1 Lek nickel (World Coins km# 5) buona conservazione BB. 1926 ALBANIA - 1 Lek nickel (World Coins Km # 5) good conservation BB. 1939 - ALBANIA ITALIANA - 2 LEK - ACMONITAL ANTIMAGNETICO - (CAT. MONTENEGRO 487) SPL/FDC.